"When Disappointment Is Not An Option"
DJs and singer/DJs with great attitudes and great feedback. Professional and reliable. Required by many venues, AAA Entertainments has a current PLI policy with Mobile DJ Network in the amount of £10 million. Also required by many venues, AAA Entertainments has supplied satisfactory evidence of holding current PAT inspections of their equipment dated within the last 12 months. A Method Statement, outlining AAA Entertainments&apos; Health & Safety procedure for setting up disco equipment has not been supplied. Why do people choose to book AAA Entertainments? Quick response in email and phone call and a good deal closest to what I wanted to pay. Excelent reviews, extras and a very good price. Good price, added extras free of charge. Excellent reviews and value for money. "Geoff was very professional and entertained the kids perfectly. Highly recommended. Thank you"
"Very much appreciate your response. Glad to know we lived up to our reputation." "Excellent. Thank you very much my son loved it. " "Tony was the Dj for our wedding. He played all the songs that we requested. We were very happy with the music choices. The Dj was very professional. AAA Entertainments is highly recommended." "We had organised a comprehensive play list, which he followed, with flexibility, so the evening went as well as can be expected. This was due to his good forward planning, and communications. He did offer more lighting and projector elements at no additional cost, but my son who's party it was declined the offer." "Dodi from AAA arrived promptly, was very friendly, responded to all requests. All in all he was excellent." "Our Dj Tessie was brilliant and helped with the surprise element of the party really well. I cannot fault the dj in anyway and would definitely recommend her. Ask for Tessie!!!! " "Thank you so much. It is very rewarding to myself and my dj's to know we are appreciated by you and you have taken the time to give us a good review. " "DJ was great and interacted brilliant with everyone. Had people mixing well and playing games for the kids. Great day. I have given your number out to another person. thank you"
"Thank you so much. It is very rewarding to my dj's to know we are appreciated by you and you have taken the time to give us a good review." "Absolutely brilliant would use AAA again no problems at all was very patient with everyone couldn't fault at all recommend "
"Thank you so much. It is very rewarding to mysmy dj's to know we are appreciated by you and you have taken the time to give us a good review.elf and "
"Geoff was fantastic. Arrived and set up on time. Muisic was fab and the day went great. Played games with the kids and his adult game was really funny. Would definitely use again and wouldn't hesitate to recommend him. Thank you. " "Great night had by all, old and young! DJ didn't speak much but didn't need to. He was brilliant at accommodating a last minute live singer. Would definitely book again for future parties. " "Good contact with dj before party. Contract set up easily Dj polite and welcoming Dj very helpful with requests "
"Geoff could not make it on the night of my party so he sent another DJ, I was a bit dissapointed that he didn't seem to get many people up dancing and he never spoke other than to say that it was my birthday and played the happy birthday song, I asked him a few times to change the music to see if more people would dance but he never interacted with the people, I thought he should have said what he was about to play and say let's see you all on the dance floor so I was a bit dissapointed "
"Thank you for your response. We have taken on board your comments and will make any adjustments that are necessary." 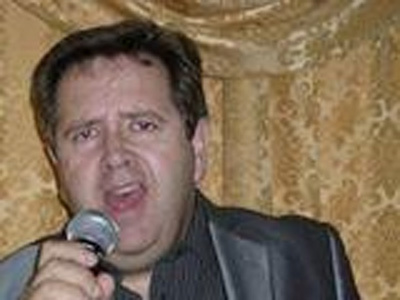 "We were extremely pleased with Geoff our DJ. He provided a great DJ service & we would definitely recommend him and book him again." "Amazing job, went out of his way to entertain the children at the party which wasn't requested of him. Brilliant would highly recomend"
"Your comments are appreciated very much - we aim to please. Thank you." "thanks it was a pleasure"
"The night went superbly well, was talking all about it the next day, and had a few compliments with regards to my choice of DJ. Geoff was amazing, with a great selection of tunes, and actually took into account our song requests and karaoke, which made everyone feel like part of the event :) He was the cherry on top of an awesome night! :D"
"thankyou very much, we never forget its your night"
"Excellent DJ we would strongly recommend him particularly for an 18th birthday party. It was pitched just right"
"Thank you for your comments. It is good to know you were happy with our service." "Communication between myself and DJ was brill, questions were always answered the same day. On the night our DJ was friendly and I would recommend him again." "mr dodd does it again !! it is great to see our efforts produce delighted clients once again , thankyou"
"Brilliant service made everybody happy with song requests would Deffo rate this dj had an excellent night thankyou"
"generating smiles and happy clients is what we are all about ,thanks for your great comments it is appreciated"
"He had quite a difficult crowd ( took a while to start dancing) Geoff carried on and eventually had them up and not wanting to stop!" "Fantastic, was already at the venue when we turned up just after 7.00 for an 8.00 start. Spoke to myself and my husband to get our names etc. Asked us about music we required and played everything and more. Would really recommend, thank you"
"Your comments are greatly appreciated - thank you." "Excellent DJ, music played was exactly what we wanted and all requests were met. There was an option for a slide show with photographs which played all night, this was a really nice personal touch. I would definitely use this company again if we have another party and would also highly recommend. Extremely good value for money. A number of our guests also said they would use the dj if ever needed." "Thank you so much for your feedback. It is very rewarding to know we fulfilled your expectations." "An excellent professional set up from start to finish. The experienced DJ Tony read the crowd quickly & played the right mix of music that suited requested taste/style." "thankyou for your lovely review , it is always rewarding when such praise is received"
AAA Entertainments also offers a range of additional party services not directly linked to musical entertainment. Get FREE no-obligation disco quotes from AAA Entertainments and other DJs covering your venue. Take 2 minutes to fill in some basic details and we'll do the rest! If you are contacting AAA Entertainments about an event, it's always a good idea to include the DATE, LOCATION, EVENT TYPE, AGE GROUP and TIMINGS to speed things up!